In several important ways, classic car engines are different than modern car engines. They are lower revving, they have larger metal-to-metal tolerances, and often have cork or rope seals. They also require more anti-wear additives to prevent premature wear. For these reasons, the best oil for classic cars requires more thought than just grabbing your favorite brand off the parts-store shelf. Most vintage and classic automotive engines have a pushrod-operated valvetrain driven by a flat-tappet camshaft. In order to prevent premature cam and lifter wear, there must be an adequate amount of anti-wear additives. For environmental reasons, the quantity of the additive called ZDDP has been reduced significantly in modern oils. Zinc Dialkyl Dithiophosphate, or ZDDP, is a zinc-based anti-wear additive that effectively helps lubricate engines. Its physical and functional properties make it ideal for use in oils and greases for controlling oxidation and corrosion. All major oil manufacturers, in order to comply with the EPA, have followed the American Petroleum Institute's (API) guidelines and lowered their zinc content. Levels for ZDDP in oils used to be 1,200 to 1,400 parts-per-million. Since the early nineties, manufacturers have been reducing this number. The latest automotive oils, rated API-SN, are around 800-900 ppm. Late-model engines with roller camshafts have considerably less camshaft lobe friction, so they don't require high levels of zinc. Without the correct amount of ZDDP, older, pushrod-style motors will wear prematurely. The damage may not happen overnight, but over months or years, the lack of protection will prematurely wear cams, lifters, and other internal parts. 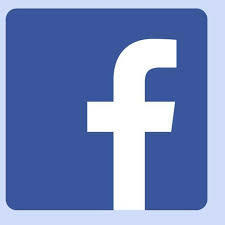 The reason the ZDDP content was lowered in motor oil was to prevent the possible fouling of the catalytic converters. Seems that the zinc and phosphates contained in it coats the active substrate in converters, which may contaminate it and decrease its life expectancy. During the break-in period of a freshly rebuilt engine, lack of proper lubrication can be fatal to internal parts, especially camshaft and lifters. After rebuilding an older engine, either add a ZDDP supplement or use a racing oil, which has a higher level of phosphorous in it. After the engine break-in period you can go away from the racing oil if you like. Most engine and engine component manufacturers recommend a zinc and phosphorus content of more than 1,200 PPM for break-in, and most will void warranties if this minimum is not found in the oil sample you supply when returning broken parts for warranty. 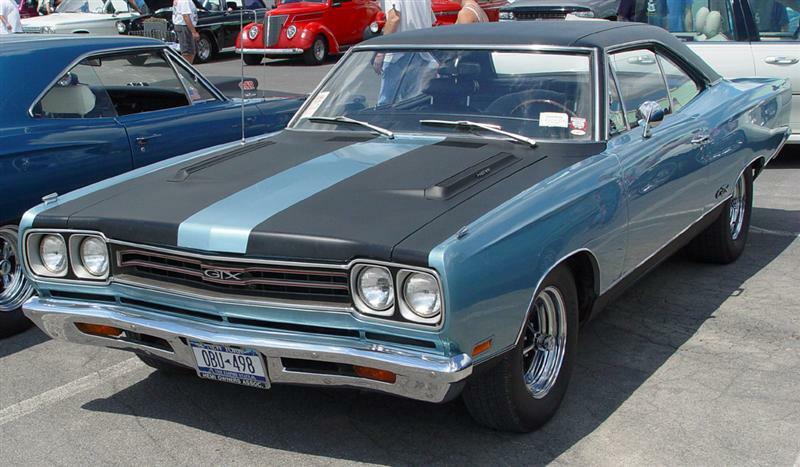 Today, many of the well-known oil companies are offering oils formulated for vintage and classic cars. These oils balance ZDDP, detergent levels, and corrosion inhibitors. Castrol markets a "Classic XL" line of retro oils. Recommended for pre-1980 cars, their multi-grade 20W-50 is formulated with high-quality mineral oils plus selected additives for older technology and classic car engines. Also in the "Classic XL" line is a 30W oil for pre-1950 vintage and classic cars. This mono-grade oil can also be used in most types of manually-operated gearboxes. 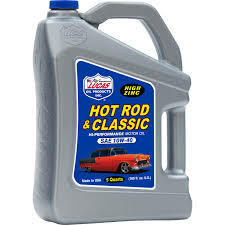 Lucas "Hot Rod and Classic Car" motor oil is designed for use in all classic cars, sports cars, and muscle cars without catalytic converters. It is also suitable for racing applications. It is not recommended for passenger car use. After an absence of nearly 15 years, the much loved oil brand, made famous by its soothing green coloration, is back. 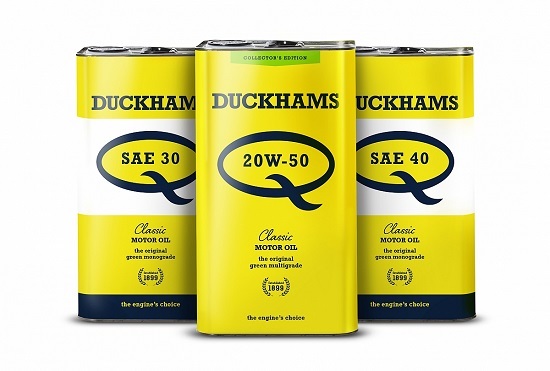 Duckhams has been in production since 1899 and is perhaps best known for Duckhams Hypergrade and for teaming up with the Formula 1 Lotus team. Diesel oils have around 1,000 ppm in ZDDP content, but also have high levels of detergents. Too much detergent in a non-diesel motor could do more harm than good. Race oils, with 1,200 ppm, offer a good balance of ZDDP and detergents, but lack anti-corrosion additives. These corrosion inhibitors protect engines from damage whether they're running or in storage. 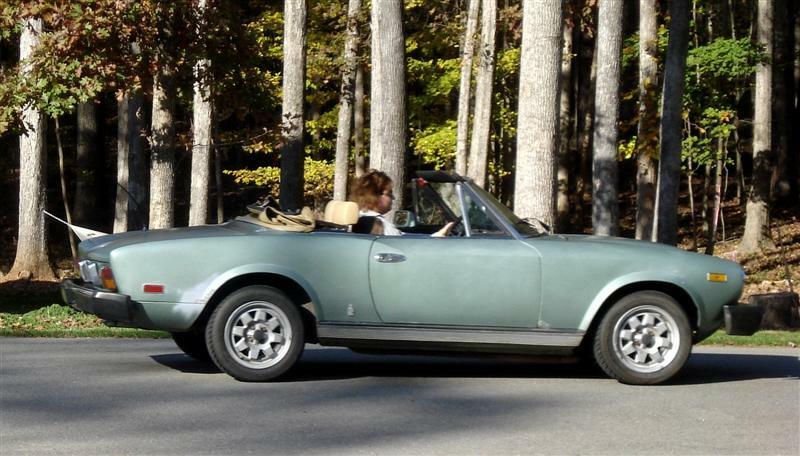 Since most classic cars do a lot of sitting and relatively little driving, keeping internal corrosion to a minimum is crucial to engine longevity. If you are unsure about what is the best oil for your classic car, continue what you've been using and add a ZDDP additive to it. 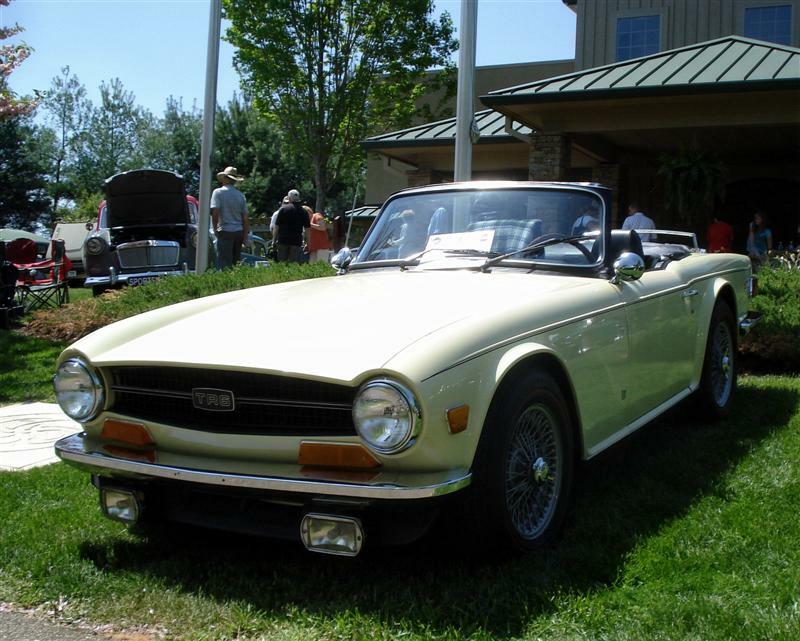 Whatever conventional oil you buy off the parts store shelf (Castrol GTX, Valvoline, Pennzoil), add the correct amount of Zinc additive to help protect your classic car's engine. 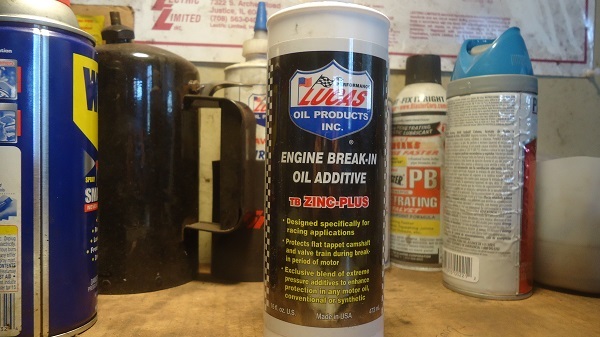 Companies such as Edelbrock, Lucas, and ZDDPlus sell ZDDP additives. Usually, a single four-ounce bottle is added to a five-quart oil change, restoring the proper amount of ZDDP needed to prevent increased wear. Rislone claims their ZDDP engine oil supplement will boost zinc and phosphorus levels to 1600-1800 ppm. Be aware, though - more is not always better. Too much ZDDP can also cause premature wear. Always refer to the manufacturers specs and measure well. What Weight Oil Is Best? When choosing the best oil for classic cars, the question of viscosity (thickness) always comes up. Since engine start-up is where most wear occurs, the obvious answer is to use the lightest weight oil available. If you live in a very hot climate, use the second lightest weight oil. Are Synthetic Oils Worth the Extra Money? Some people sleep easier knowing they've bought the "best" and "most expensive". Amsoil 10W-40 AMO gives all the benefits of synthetic oils and contains ZDDP anti-wear agents. However, it is significantly higher in price of the conventional motor oils. Whether its worth it is up to you, but first consider the blow-by and loose tolerances of older engines. It's probably more cost-effective to use conventional oil and change it regularly. What Is The Best Oil for Classic Cars? Motor oils that have a high ZDDP content already in them, between 1,200-1,400 ppm, are the best choice for giving your engine the correct amount of phosphorous and zinc anti-wear additives.